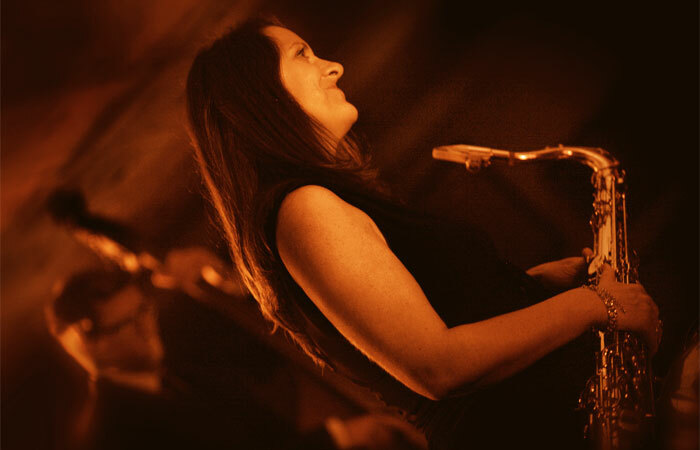 Known for their sophisticated and accessible sound, Sonic Jazz Project, led by vocalist Sonia McLean, perform regularly throughout the South of England from Cornwall to London. If you are looking for a quality live jazz band, you’ve come to the right place. 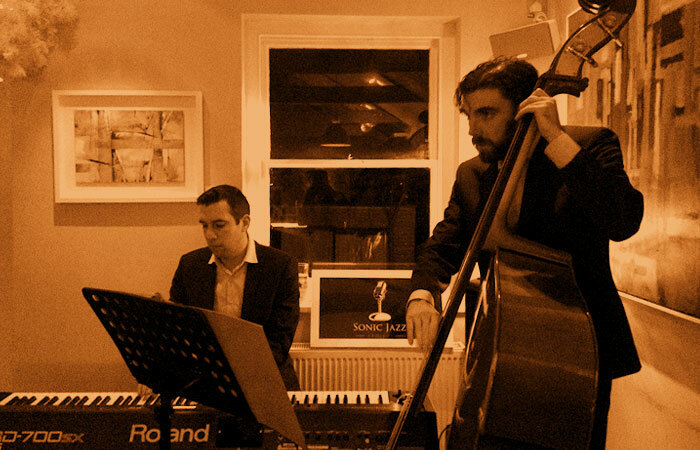 Sonic Jazz Project perform well-loved jazz standards, swing and a few modern songs given a jazz arrangement. They are available as a trio, quartet or quintet with vocals, piano, double bass, percussion and saxophone. The bigger the line-up, the fuller the sound. All are well-established musicians with a wealth of musical experience to draw on. When they are together on stage, they make for a fantastic night’s entertainment as the energy flows back and forth between them! Recently played on BBC Introducing, BBC Radio Cornwall and winners of Hub Radio’s new music show competition in 2014, Sonic Jazz Project have performed at St Ives Jazz Club, Bude Jazz Festival, Looe Music Festival, Calstock Arts and Fowey Royal Regatta among others. The band have made several radio appearances following the launch of their EP and caught the attention of the press in Cornwall. This is a band who are approachable and reliable and will deliver high quality live music tailored to suit your needs. 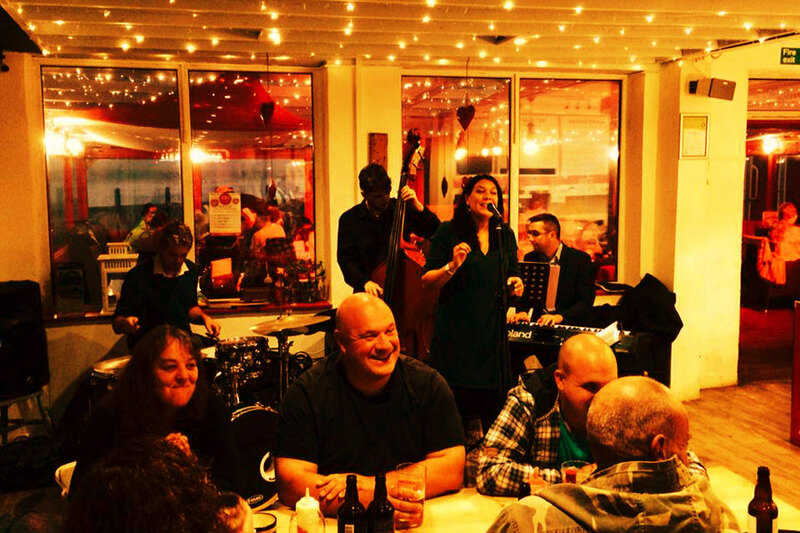 Sonia McLean, vocalist, who leads the band, has performed at various music festivals and jazz clubs including Ronnie Scott’s, St Ives Jazz Club, Stow-on-the-Wold Jazz Club, Bude Jazz Festival & Looe Music Festival. Sonia has worked with Renato D’Aiello, Craig Milverton, Alex Hutton, Terence Collie, Chris Jones and Richard Sandler. Sonia also performs as a solo artist in Surrey and London. Have a look at the Reviews / Testimonials page or contact the venues directly to find out more about Sonic Jazz Project and how they can work with you.